Farmyard Beat by Lindsay Craig, Illustrated by Marc Brown is rhyming recollection of bedtime in a barnyard. The animal are having trouble sleeping. They would rather be dancing to "that beat". With a repetative, almost singable rhythm and rhyme, Craig introduces each animal with the animal's corresponding sound. 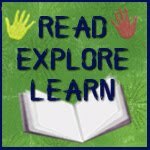 The illustrations are big and bold, which make this a great choice for even the littlest learners. My boys beg for this book at bedtime. We have so much fun chanting this book. Your kids will be sure to join in and love it too. Fall just brings out the farmyard feel in me. 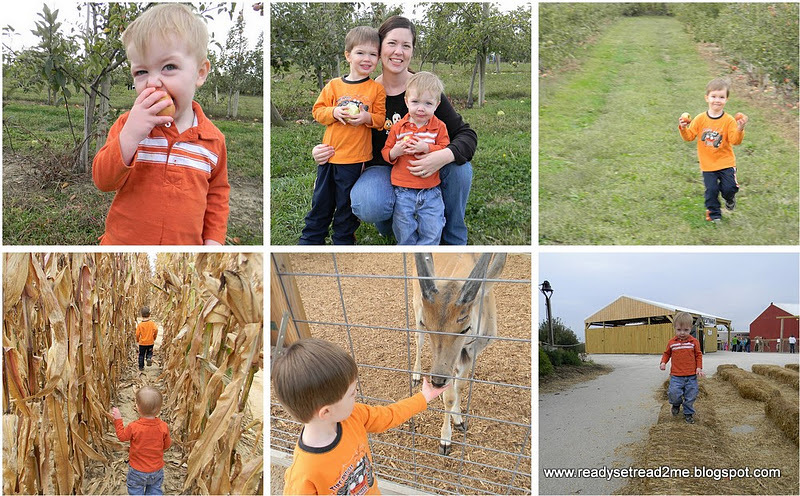 We had the chance to visit Eckert's Family Fun Farm this week. It is a u-pick farm. Right now, pumpkins and apples are in season. We picked about 5 lbs of apples and then we were off to do all of the "fun" stuff at the farm. 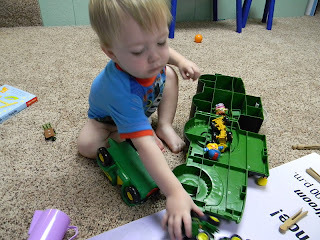 We played on a playground, drove tractors (ok, they were John Deere tricycles, fed the animals, did a corn maze, and played in the hay). 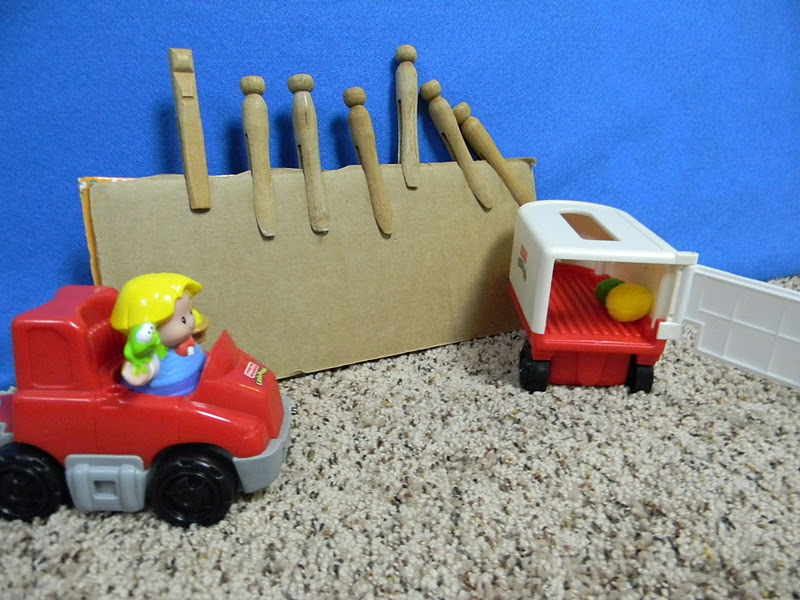 When we came home, Logan and I set up a playscene for he and Tyson to reinact the apple orchard trip. 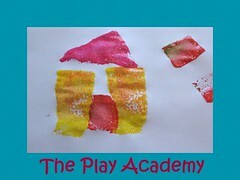 Childhood 101 has a great article on elements for setting up play scenes. I could probably add a lot more to our play scene by incorporating some of those ideas. The important thing, though, was that the boys were invited into the play and they jumped right in. They "picked" apples. They sometimes picked the whole tree. They put apples in the wagon and dumped it. The little people ate the apples. It was a fun evening of farming, farmyard not included! Sounds like fun! I haven't heard of that book and I can't wait to check it out! 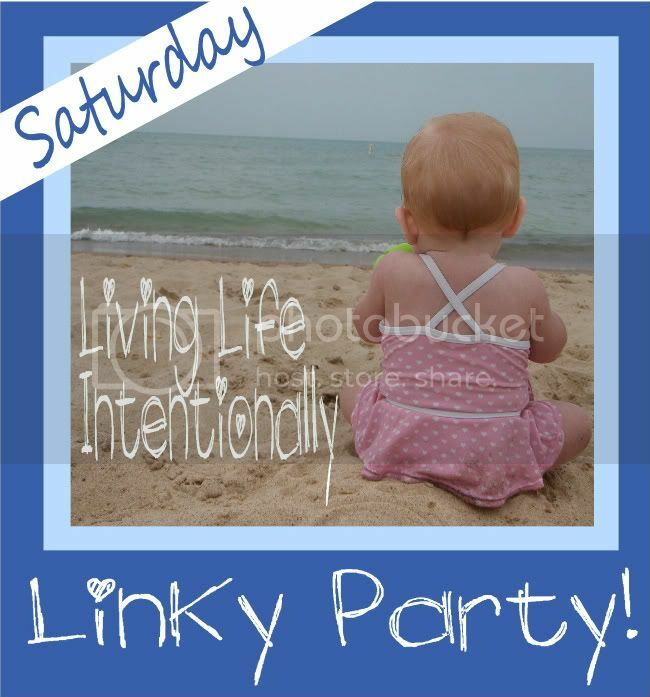 Hoping here from Living Life Intentionally Linky Party. Love your study! Love finding creative ways to incorporate clothespins. Oh, found you from LLI Linky Party. Thanks for sharing. Have a good day. Aaaah looks like a fun and perfect day. 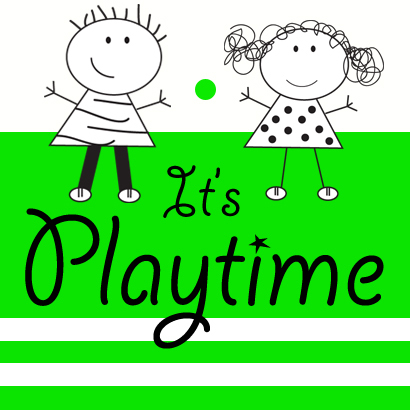 I love your play scene and field trip!